Like Israa Abdel Fatteh, Nawara Nejm, and Tawakul Karman, the majority of the women are in their 20s and 30s. 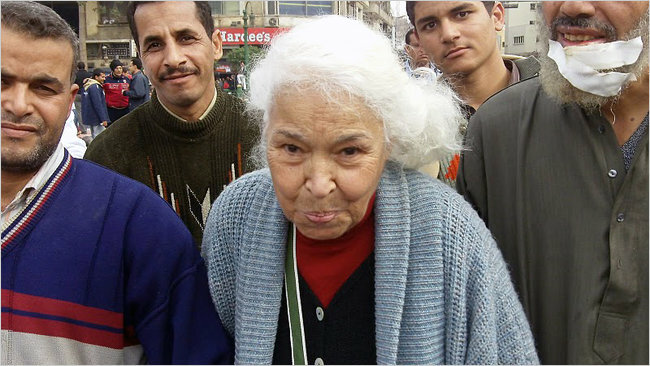 Yet there were also inspiring cases of senior activists as well: Saida Saadouni, a woman in her 70s from Tunisia, draped the national flag around her shoulders and partook in the Qasaba protests which succeeded in toppling M. Ghannouchi’s provisional government. Having protested for two weeks, she breathed a unique revolutionary spirit into the thousands who congregated around her to hear her fiery speeches. “I resisted French occupation. I resisted the dictatorships of Bourguiba and Ben Ali. I will not rest until our revolution meets its ends, for your sakes my sons and daughters, not for mine,” said Saadouni.